Being an idol in South Korea means that all eyes will look up to you. Because of that, every K-pop idol tries their best to be perfect, in both personality and appearance. A K-pop idol’s appearance is always related to their weight. To get the ideal weight, a tight diet plan is needed. Every K-pop idol has their own diet plan as some of them didn’t have ideal weight when they first joined as a trainee. One of the K-pop idols that is widely known for her weight loss is AOA Seolhyun. And here, we will reveal AOA Seolhyun Weight Loss Secret and Diet Tips for you, check them out! Seolhyun had been famously known even after she debuted as an AOA member. She was one of the contestants of The 2010 Smart Uniform Model Competition back when she was still in her third year of middle school. Competing in modelling competitions, Seolhyun showed her good body shape even when she was still a high school student. Although she looked pretty slim back then before her debut, Seolhyun revealed that she had a lot of struggles with her weight up until now. During her predebut, she looked chubbier but fresh. 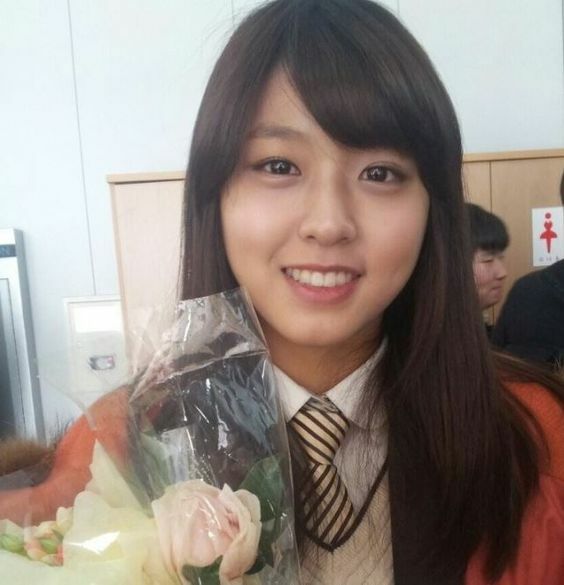 It was revealed that she weighed around 60 kg before debuting as an AOA member. When Seolhyun first debuted, she had a good body shape, but she somehow still looked chubby. Although she looked fresh and young, but some people judged her as she still had baby fat on her belly. Weighting 60 kg, she then trained hard to lose her weight. Over years after debuting, Seolhyun did a tight diet to meet the strict weight requirement of her agency, FNC Entertainment. After gradually losing her weight, she also gained more confidence. As for now, Seolhyun weights around 47 kg (103 lbs) to 48 kg (106 lbs) after years on a consistent diet. How Do Korean Idols Lose Weight So Fast ? Korean idols are known for their diet plans. Their diet plans are able to help them in losing their weight really fast. But each K-pop idol has their own diet plan that best suits them. Here are some diet tips from AOA Seolhyun! What Do AOA Seolhyun Eat To Lose Her Weight ? On FNC Entertainment variety show Cheongdamdong 111, it was also revealed that Seolhyun was only allowed to eat sweet potato, chicken breasts, and boiled eggs. Whenever Seolhyun gained much weight, she would also applied “liquid meal”, which means she only drank liquid and didn’t eat food at all. “I went on a liquid/drinking diet and did not eat anything I could chew and swallow just like a vampire.”, Seolhyun said. She said that sometimes she cried because of hunger. Now, she is getting slimmer because of that eating habit. Do you want to try Seolhyun’s diet tips? When AOA Seolhyun appeared in Laws of the Jungle in Tonga, she revealed how she did an exercise to lose her weight. While exploring the farm looking for fruits, Seolhyun said that “I always used to do squats frequently.”. She even revealed how she did the squat and went into full-scale squats. Through Seolhyun’s gym teacher, the video of how Seolhyun did her exercise daily was revealed. The exercise especially helps her to remove belly fat and shape abs. Check Seolhyun’s workout and give it a try to build Seolhyun’s perfect body shape through following her video!